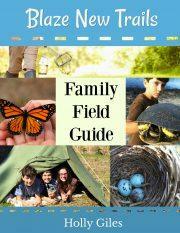 The Family Field Guide is a resource to compliment Blaze New Trails. We have created more content since the printing of Blaze New Trails to help you make the most of our guide to nature and community. Video links to show you exactly how to use Blaze New Trails chapter by chapter in more ways than one.